No Artist entered to roster yet. Daemon Records is a not-for-profit label that was conceived as a vehicle to allow recording artists to express their artistic vision without the confines and restrictions of the traditional corporate rock label. Daemon is not only run from the artist's perspective, it is run by a staff of artists. My purpose in creating the Daemon label was to help break down the barriers within the music community, while providing an opportunity for musicians to create and control their own recordings within a free and nurturing environment. 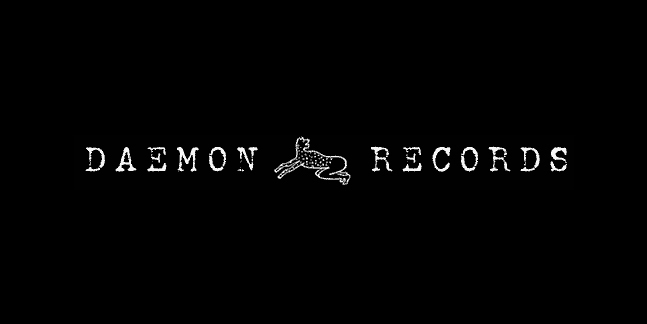 The genesis of Daemon Records arose from my own frustrations with the music industry. While reaping the benefits of a major label deal, I realized that all around me "music" was getting lost among the checkbooks, executives, and mountains of paperwork that are all such a primary part of any major label. I watched while so many musicians that had inspired and influenced my fortunate career went unrecognized. As an Indigo Girl, I enjoyed being part of the indie scene and I wanted to remain supportive and open to the underground. I decided to stop complaining about the evils of the music business and do my part to support the arts. The next thing I knew, I was up to my ears in work, fulfilling all the basic functions of my own indie label. From the very beginning, my first priority was to make sure that Daemon Records embodied one characteristic that many independent labels lack diversity. It seems to me that a lot of indie labels have a fairly narrow musical focus. While a clearly defined "sound" enables a record label to attract a strong and specific fan base, it doesn't provide its listeners with an opportunity to broaden their musical horizons. I have observed many indie labels locked into conforming to what is supposedly "cool" in order to maintain a hip status, and often that hip sound is tied in with a certain "look" as well. Appearance and image seem to count a lot, even in the indies. My goal for Daemon Records is to present all kinds of music for all ages, from punks to folkies. The common thread of all Daemon recording artists is their attention to the craft of songwriting, independent of musical genre or style. The diversity has kept Daemon alive and will always be an integral part of the label's identity. Daemon began with a bang in 1990 amidst the hustle of my own Indigo road show. I soon learned that retail, radio, and press promotion were jobs too big to tackle from various hotel rooms in between Indigo shows. I began to enlist my friends to help me guide Daemon through the ups and downs of the music business. Together we all learned (by trial and error, mostly) the most effective and appropriate methods by which to accomplish our goals. We also adopted a policy that all newly signed Daemon bands be taught the details of promotion and be encouraged to take part in fulfilling the destiny of their recordings. So now it seems that all of us at Daemon are experiencing the snowball effect. With each passing year there are more bands, more albums, occasional videos, lots of touring, and plenty of work to go around for everyone. With the combined effort and contributions of lots of loyal supporters (including many at my own major label), Daemon Records is now heading into its sixth year with a strong vision, clear head and good heart. Please continue to discover the diversity of Daemon Records.